Don't delay, get on our snow plowing schedule today. 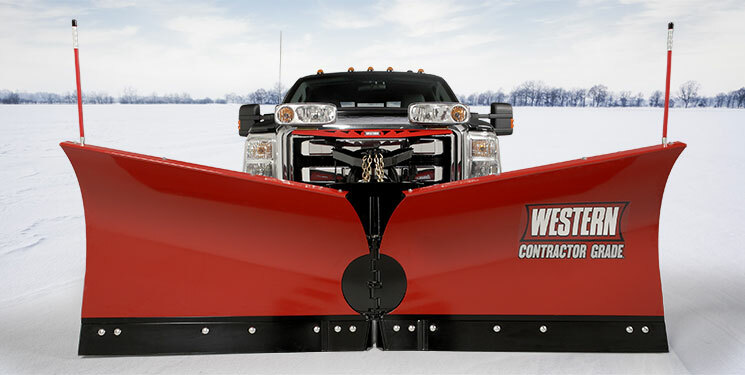 ​Affordable Snow Plowing & Snow Removal Company in Appleton, Neenah, Menasha and entire Fox Valley. ASR... Affordable, safe and reliable! Don't delay, schedule service today! Affordable Snow Plowing & Ice Removal Co. in Appleton, Neenah, Menasha and more. Local plow/salting service in the Fox Valley, WI. ASR... Affordable, Safe and Reliable snow plowing and snow removal contractor in Appleton, Neenah, Menasha and Wisconsin's entire Fox River Valley. State Licensed, Fully Insured & Family Owned. We own and operate a local concrete contractor co in Appleton Spencer Concrete, Inc. and asphalt driveway paving company in Appleton Pave Black, Inc. that also operates a snow removal business in Appleton, Neenah, Menasha, Grandchute, Greenville, Hortonville, Shiocton, New London, Clintonville and surrounding areas that offers snow plowing and snow removal services for commercial and residential customers in North East WI Fox River Valley. Residential driveways and commercial parking lot snow plowing services start at $35 per visit up to 6" of snowfall for yearly scheduled accounts. Don’t delay, contact us today to get on our schedule! The best way to get a price for snow plowing would be to fill out the form below or email us @ spencerconcrete@gmail.com. If you need immediate assistance call/text ﻿(920)574-0305. 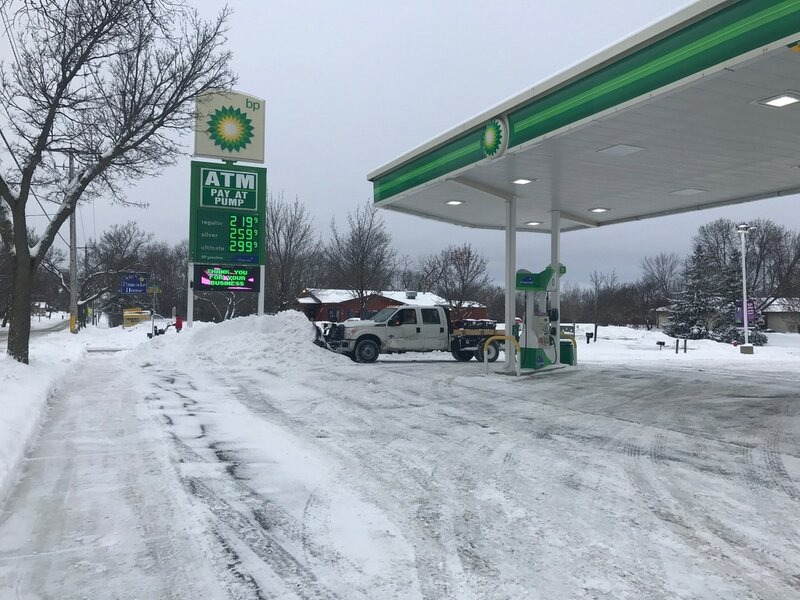 At Appleton Snow Removal Co. we try to service our customers every snowfall at/over 1" of snowfall every 4-6"in accumulation. If a snowfall of 12" of accumulation is expected we will service your property once at around 6" and another when the snow storm is finished. This allows homeowners and customers safe access to your property. We also snow plow at this depth so we can maintain visibility of your paved surfaces. *If you need a different plowing schedule let us know so we can accommodate. Salting services available upon request. We try to schedule our snow plowing drivers with 4 hours of plowing per average storm, driver allowing our snow plowing company to remove snow in a timely manner. Our snow removal company in Appleton services East Central Wisconsin including Neenah WI, Menasha WI, Grand Chute WI, Greenville WI, Hortonville WI, Shiocton WI, New London WI, Clintonville WI, Kaukauna WI, Little Chute WI, Darboy WI, Kimberly WI, and all other areas in North East Wisconsin's Fox River Valley. Appleton Snow Plowing Contractor that cares. 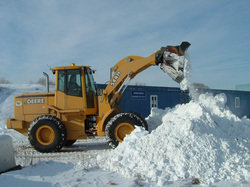 Full service Snow Removal Contractor in Appleton. "Round-the-Clock" same day service within Appleton and surrounding area. We keep a close eye on the weather by monitoring 24 hours a day, 7 days a week. Flexible Pricing: contracted per push, hourly or per call. Snow plowing for parking lots and driveways. Snow blowing for residential driveways and commercial walkways. Snow removal "combination truck and loader rates available". De-icing salting service upon request. Gutter and roof snow removal. ​Emergency and "On Call" Services Available! Appleton Snow Removal Company we service Appleton WI54911-54915, Neenah WI 54956, Menasha WI 54952, Grandchute WI 54913, 54914, Greenville WI 54942, Hortonville WI 54944, Shiocton WI 54170, New London WI 54961, Clintonville WI 54929 and surrounding areas with winter snow removal services including snow plowing, snow blowing, snow hauling, de-icing ice control, roof snow shoveling, and winter maintenance. Appleton Snow Removal Company can plow snow, remove snow, salt ice, sand ice, snow blow, pile, shovel, move, or haul any snow or ice you can put in our way. 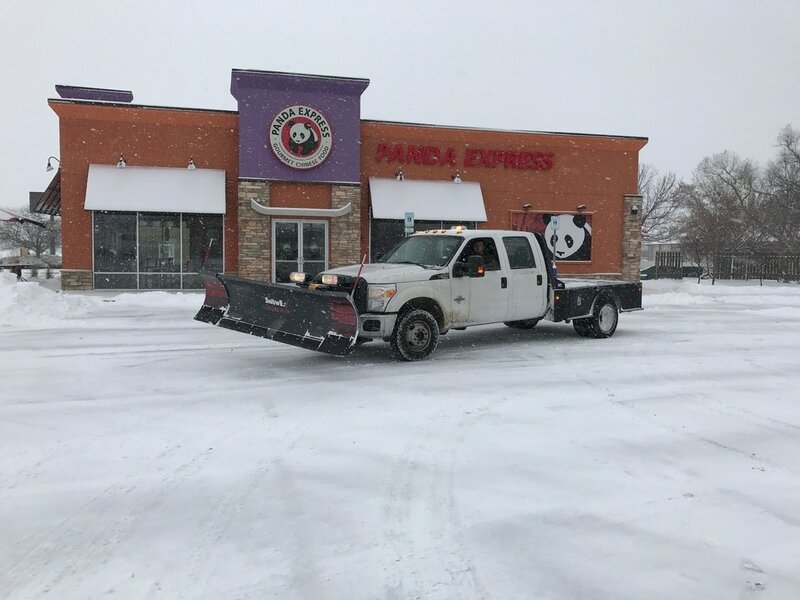 Appleton Snow Removal Service has the proper equipment to safely and quickly plow snow & ice from your business parking lot or private residential driveway. We will get your job done safety. We take our snow removal business seriously, and are proud to be a quality Appleton snow removal contractor! Our fleet of trucks consisting of snow plows, snow pushers, snow blowers, front-end loaders, snow tractors, and skid steers, insure quality ice and snow plowing. We use quality reliable equipment to remove, haul and relocate snow and ice. We use de-icing products and salt for ice removal. If we are booked for the season you could also try Fox Valley Snow Plowing or Main Concrete for your snow plowing. 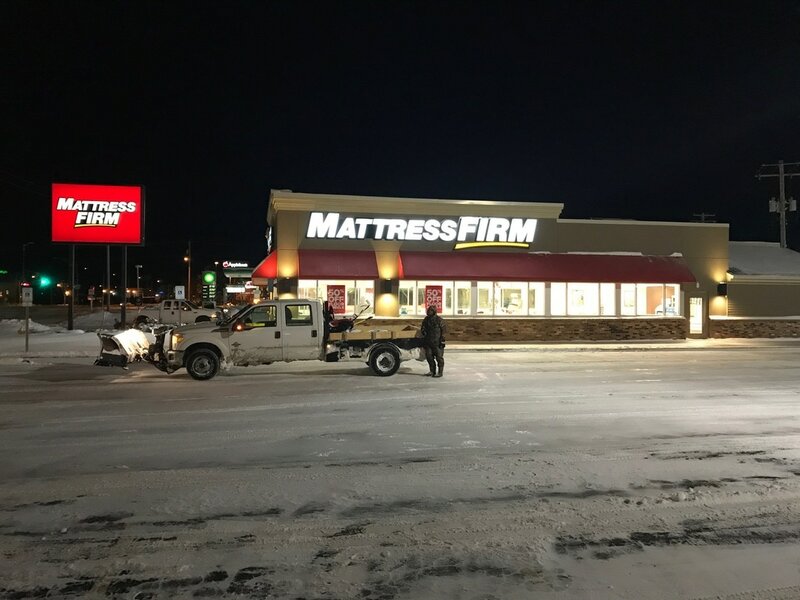 We provide winter removal services for corporate offices, retail stores, industrial properties, commercial buildings, shopping centers, storage units, residential driveways, and more all in the Appleton area. We are insured for you protection & ours, taking great pride with our prompt and professional service! Don’t delay and contact us today to get on our snow plowing schedule! We offer a 24 hour affordable snow removal services. We are one of the best snow plowing companies in Appleton because we offer cheap snow plowing services including; emergency snow services, residential snow plowing & removal, commercial snow plowing & removal, parking lot snow removal, driveway plowing, sidewalk snow blowing, parking lot snow plowing, and more. Don't get caught in the storm without us!